Super simple Thanksgiving game! Print one for each player and start rolling a dice. Whatever number you roll is a section you can color in. First to color their entire turkey wins. Click here for the printable worksheets: Thanksgiving dice game PDF Enjoy! 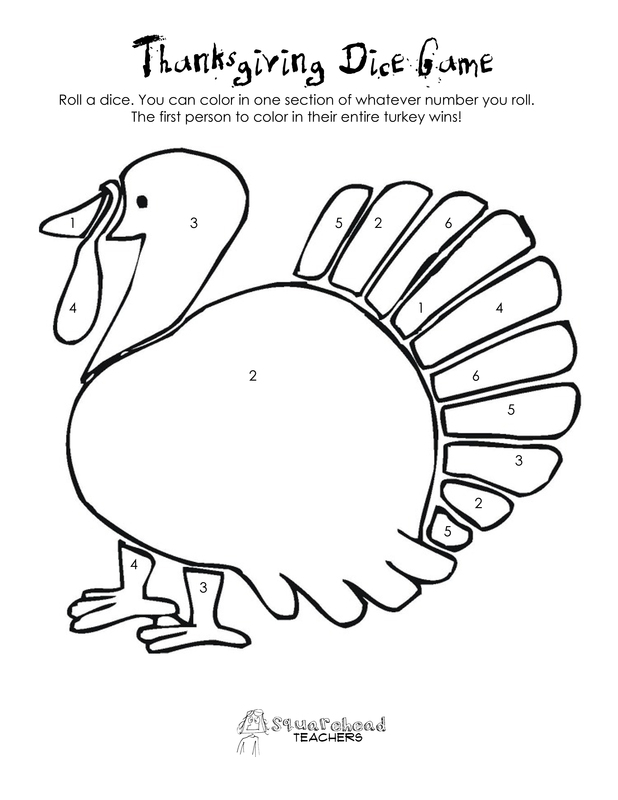 Click here for more fun and free Thanksgiving stuff for kids! This entry was posted in Games, Holidays/Seasons, Math Games, Thanksgiving/Fall and tagged Children, Education, Elementary School, Homeschool, Kids, Teacher Resources, Teachers, Teaching by Squarehead Teachers. Bookmark the permalink.